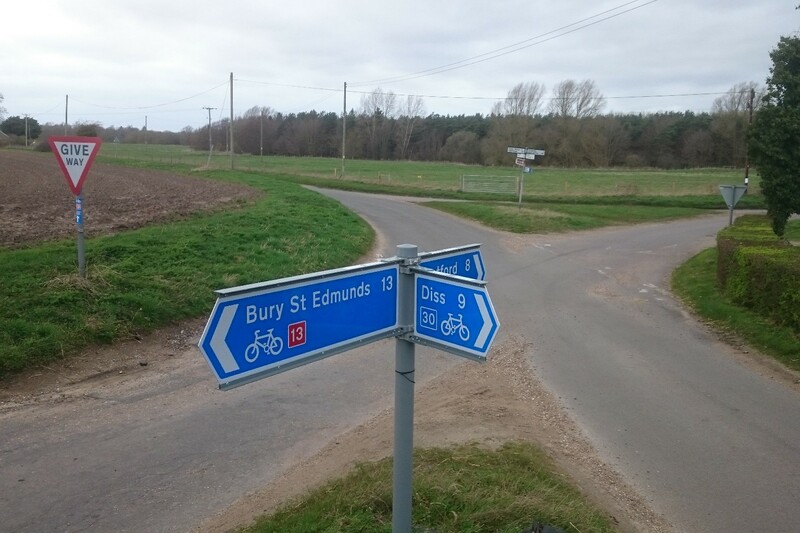 As part of a longer ride today, I took the opportunity to fix a couple of issues I’d noticed previously on Route 30 just north of Thetford. 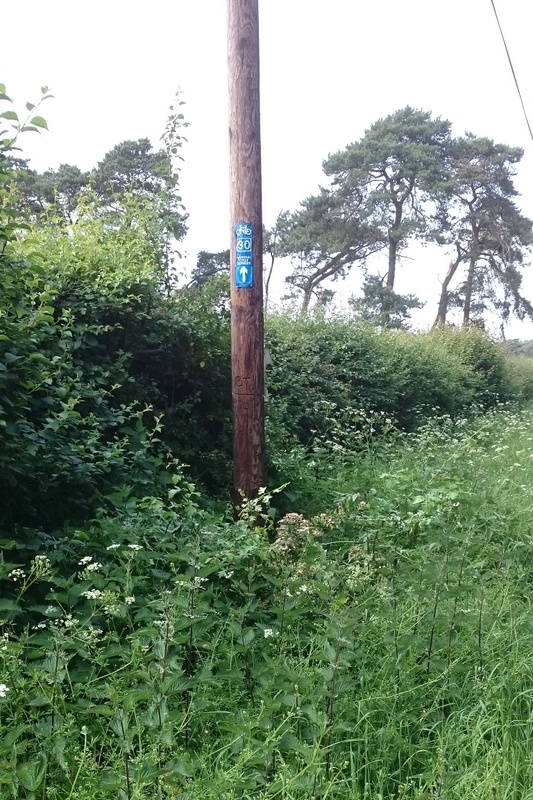 First, one of the existing Ranger Signs attached to a telegraph pole on Frog Hill Road north of Croxton had become hidden by the overgrowing hedge. 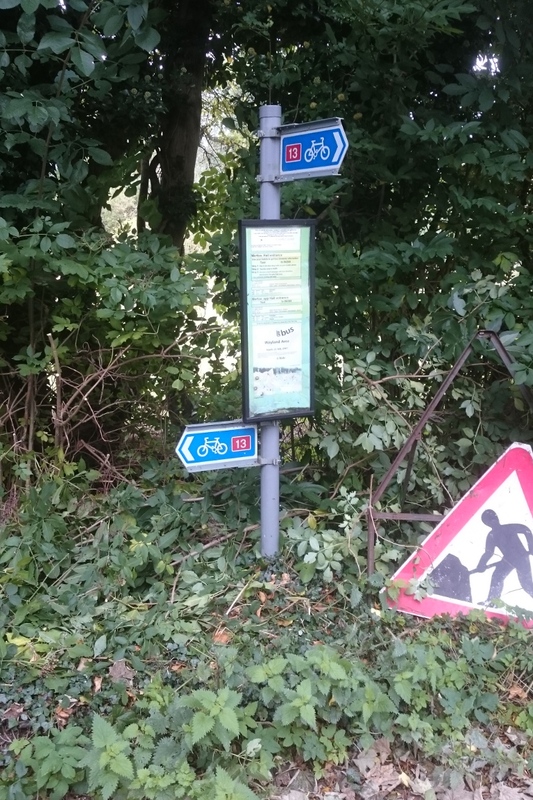 A bit of cutting back soon fixed that. 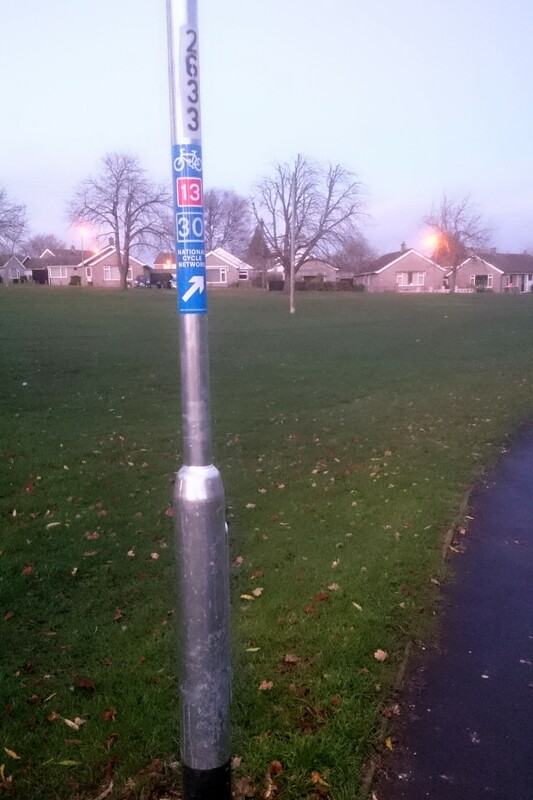 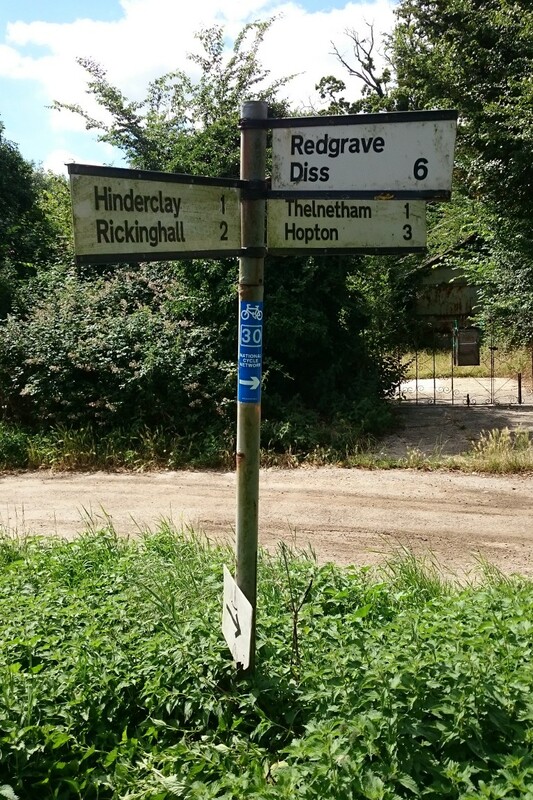 Secondly, a road sign that previously held a permanent NCN sign at the junction of Frog Hill Road and Harling Drove Road, had been damaged a couple of months ago. 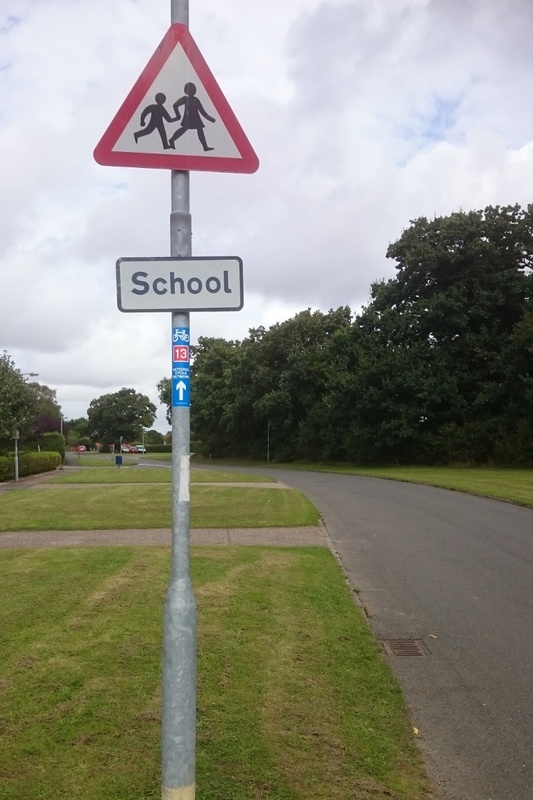 It was then completely removed. 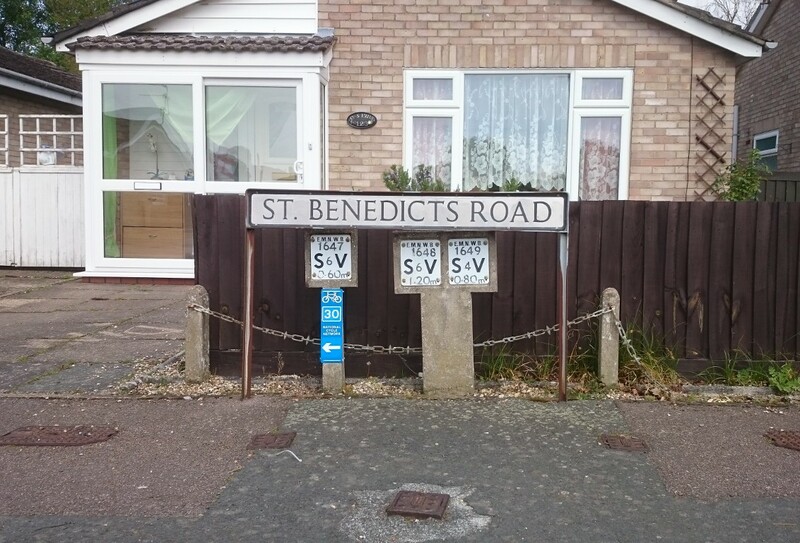 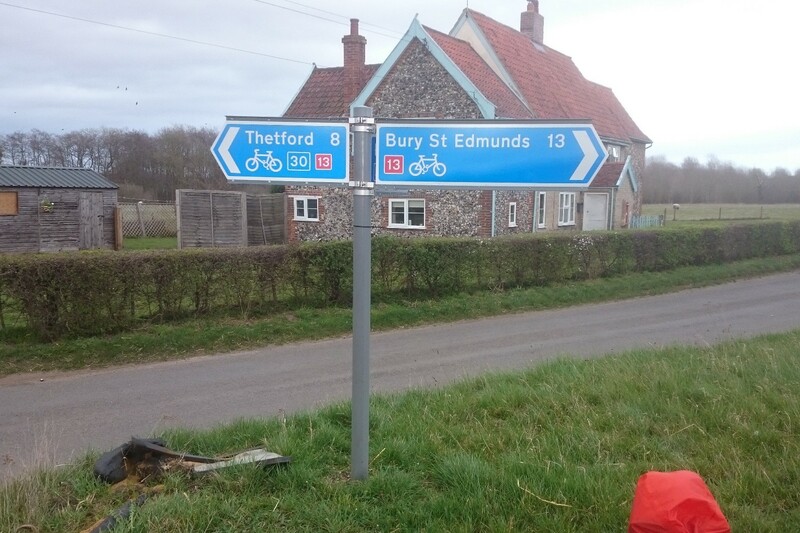 Unfortunately Norfolk County Council didn’t get back to me about whether/when the sign would be reinstated. 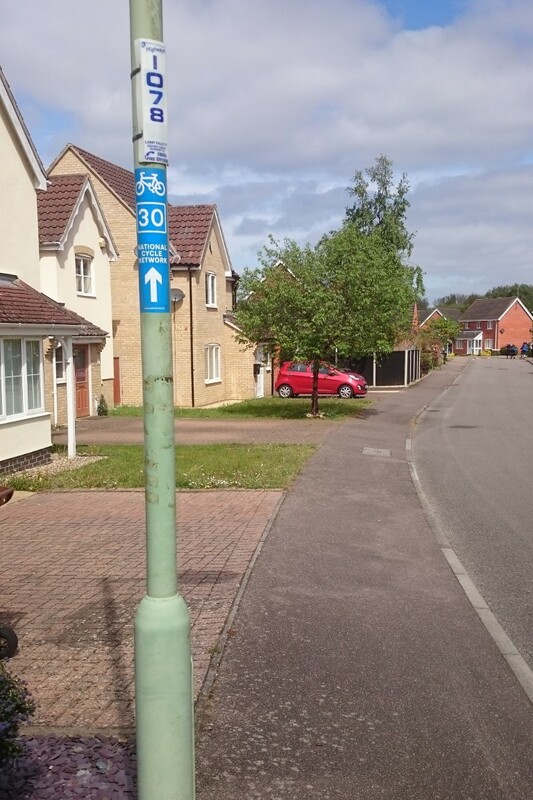 This was the only right-turn sign for cyclists on Harling Drove Road. 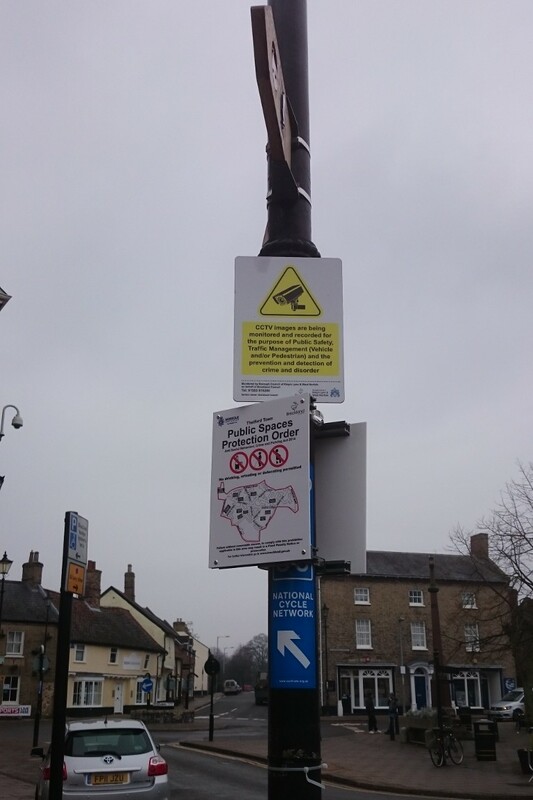 So as a temporary solution, I’ve attached a new ranger sign to a convenient telegraph pole. 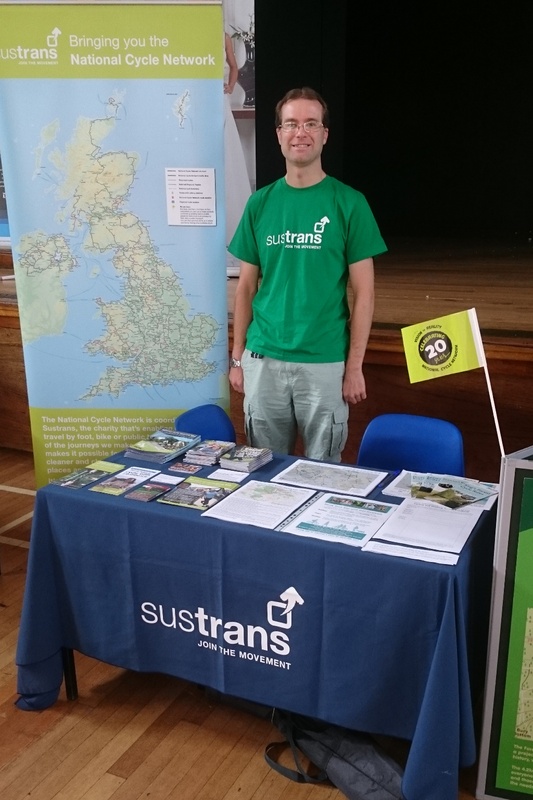 Today I ran a stall for Sustrans at the annual open day at the Charles Burrell Centre in Thetford. 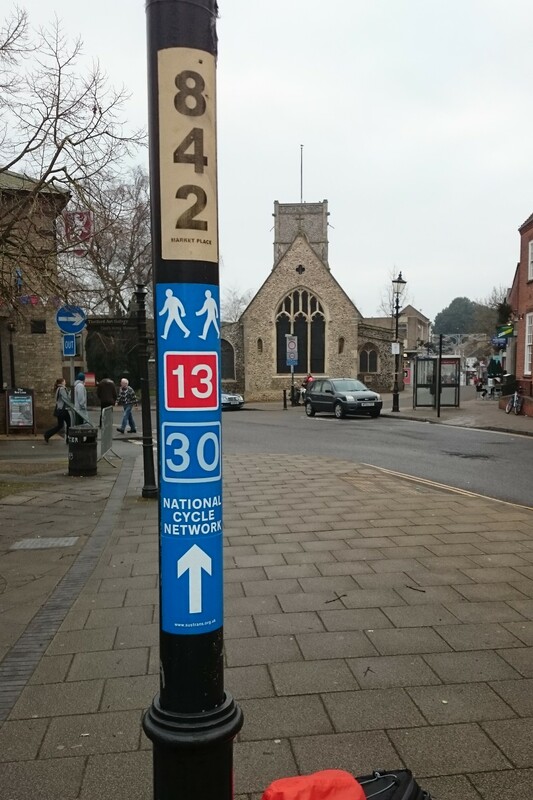 I spoke to a lot of different people about the work that Sustrans’ does and what local cycle routes are available, and gave out various leaflets. 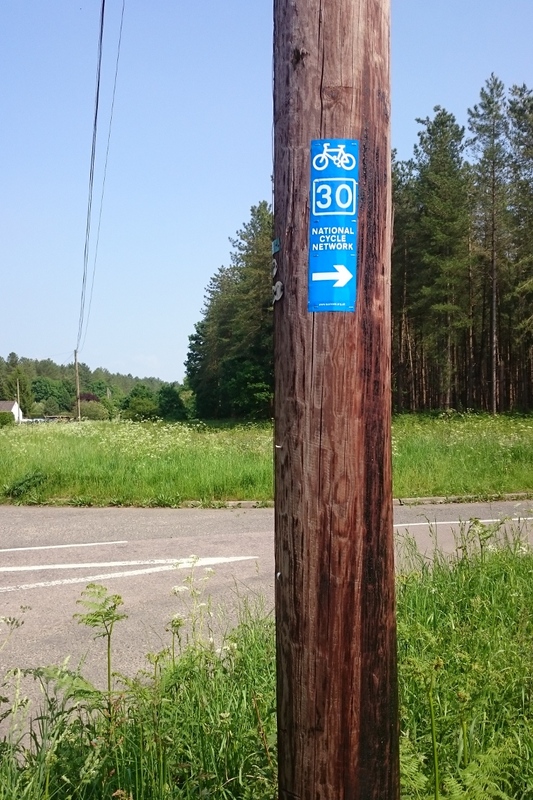 As part of a longer bike ride, I check on Regional Route 30 between Diss and Thetford today. 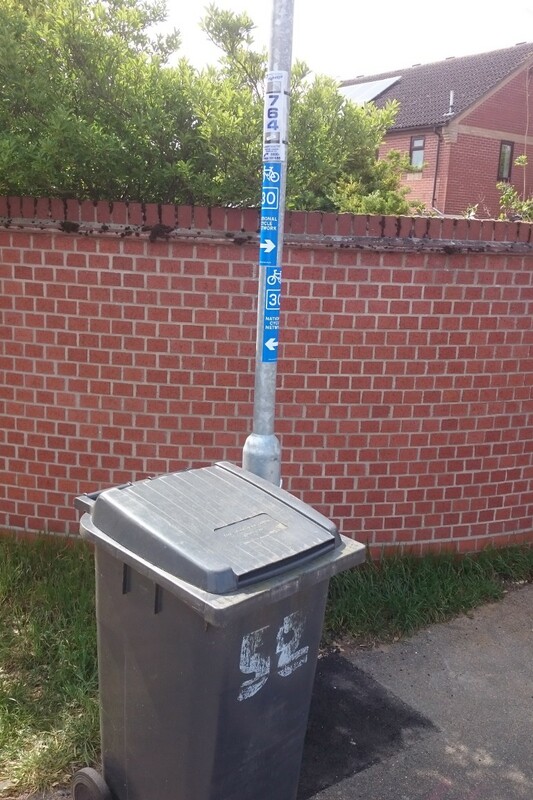 There were a few issues I was able to fix, and one that I had to report. 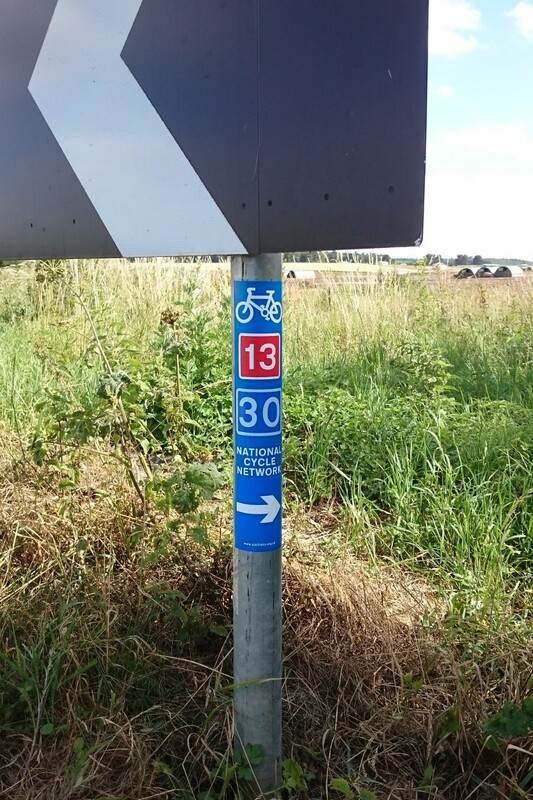 I added two new signs. 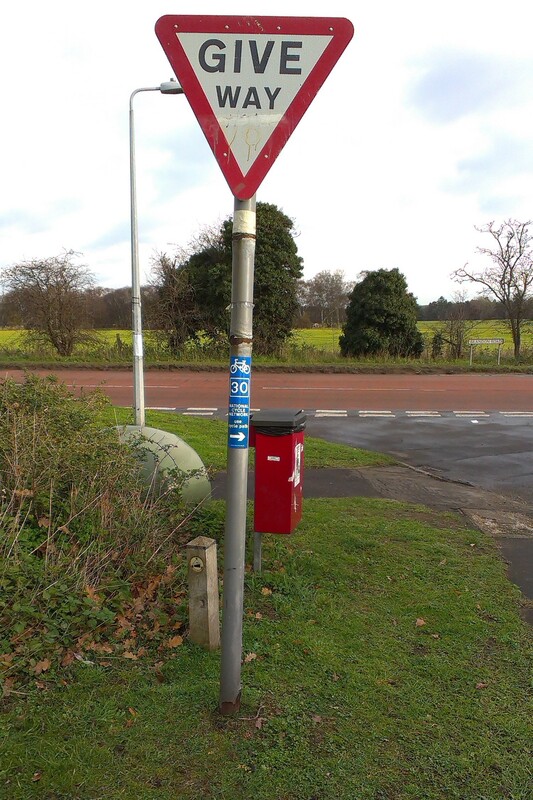 The first was at Crackthorn Corner, to provide an additional sign to ensure west-bound cyclists take the right-turn. 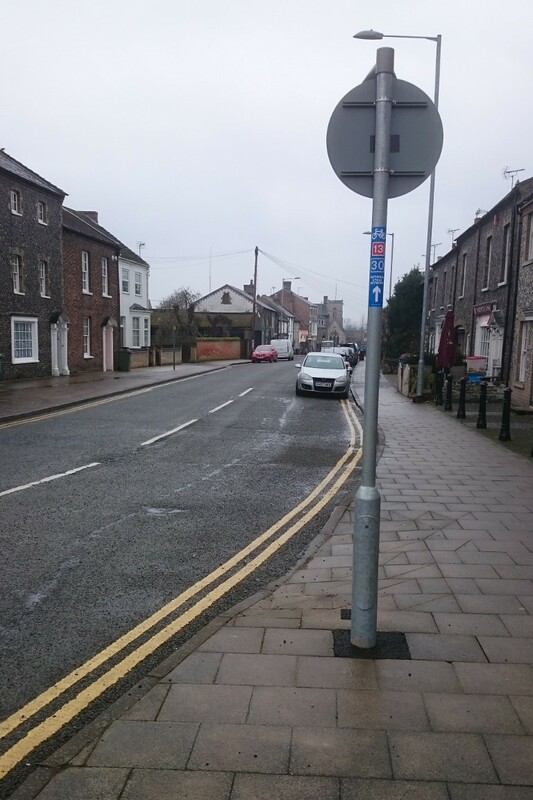 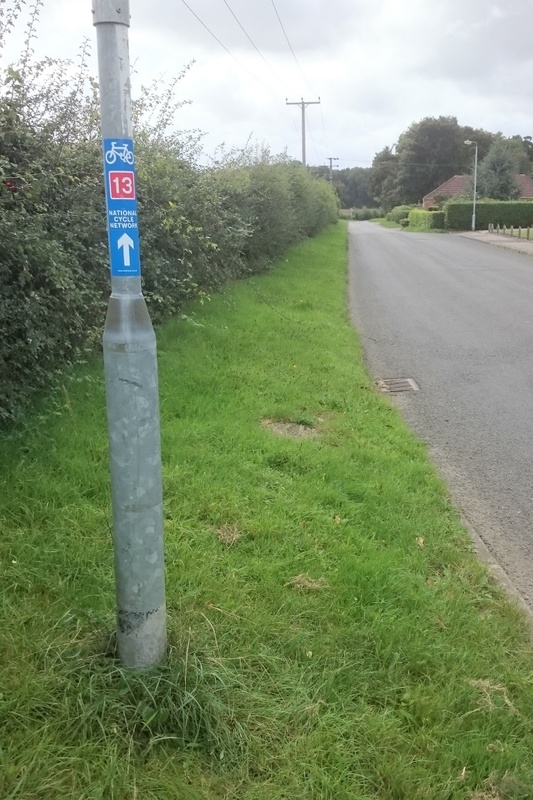 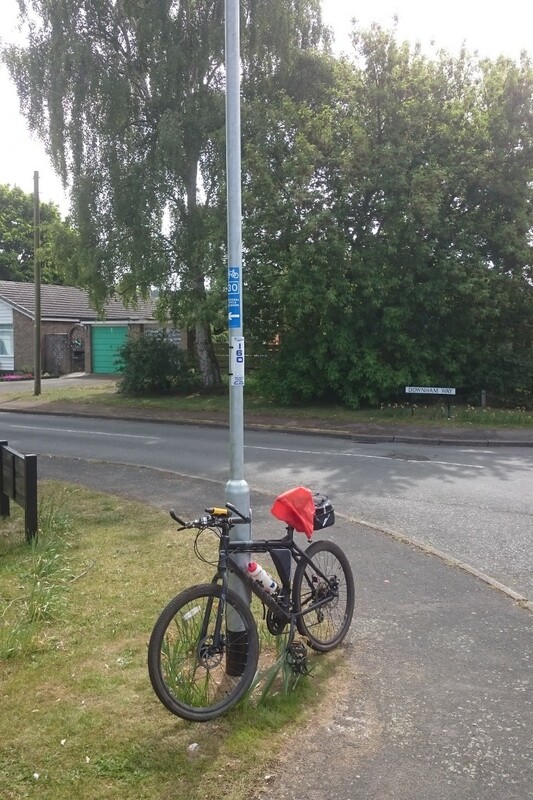 The second was at the junction of West Harling Road and the B1111 where a previous sign had been mis-placed during repairs to the chevron sign after an accident. 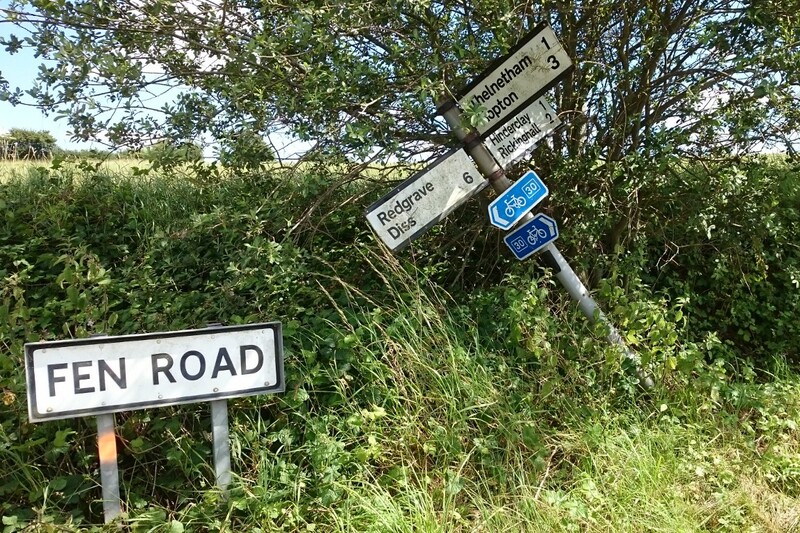 The road sign at the junction of the C637 with Fen Road just west of Thenetham had come out of its foundation and was leaning at an angle against a tree. 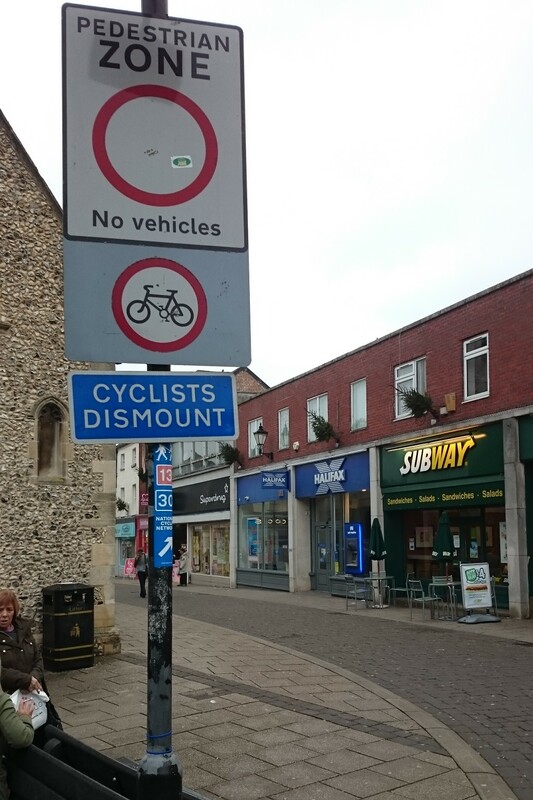 This has now been reported to Suffolk County Council. 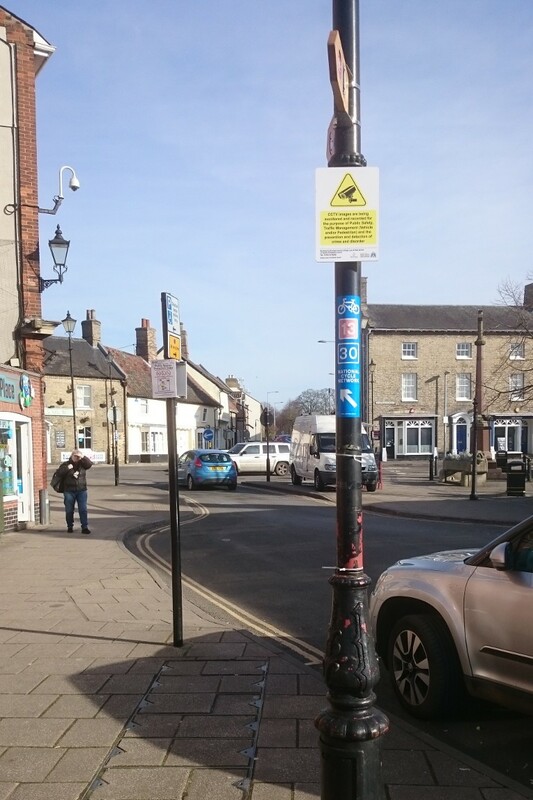 I repaired a couple of signs in Thetford Town Centre today, as they’d been damaged.